Moving home can prove to be one of life’s most hectic events and adding an international dimension to it can only make the situation more stressful. However, provided you carry out thorough research and know to ask all the right questions, you can guarantee a hassle-free move. We outline the key questions to ask any international removals provider, to determine whether they are able to offer all the services you require during your big move. 1. Are you able to offer a full, door-to-door service? This may seem obvious, but you’d be surprised by how many companies out there are only able to ship your belongings between ports, for example. If you require a full international move, you will no doubt require your removals provider to pick your belongings up from your home in the UK, and deliver them right to your new doorstep abroad, wherever that may be! It is, therefore, vital to check that the removals company you are thinking of hiring actually covers the city and country you are moving to, otherwise you will spend time filling out quote forms for no reason. 2. Will I be covered by insurance? A sure-fire way to tell if a relocations expert is not to be trusted is if they do not offer insurance coverage since all respectable moving companies will insist upon it. The type and extent of the coverage will vary from company to company, so it’s important to understand exactly what is covered in your policy from the outset, or you could find yourself in a pickle later down the line. 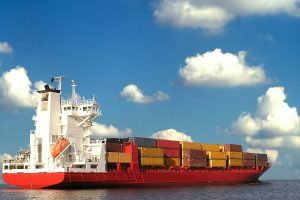 For instance, some companies may only offer insurance coverage for goods while in transit, but not when they are being unloaded at the shipping ports. Likewise, a policy may only cover damage to your belongings but not theft or loss. Moreover, it’s important to check how much you will be covered for, as it’ll be no use going with a remover which can only cover £20,000 worth of stuff when you are moving £100,000 worth. 3. Do you include packing within the quoted price? For international removals, packing forms a key part of the process, since customs requirements and international regulations apply and can be extremely complicated. When your belongings pass through customs, there should be a declaration of household goods and effects along with it. This helps prevent the movement of illegal goods between countries. Removals experts should be able to provide you with this declaration, which will help speed up their movement through customs. To do this effectively, they should offer to pack your things for you, in order to protect both you and their business from being held liable for shipping anything which could be illegal. As such, be sure to check that packing is part of the cost quoted. We generally advise against packing for an international move all by yourself. 4. How are my goods going to arrive at my destination? This is an important question to ask since the effort required to ship internationally varies greatly depending on the method and route taken. For simple relocations across borders, such as from the UK to France, a removals truck should be enough. However, for complex, long-distance routes overseas, a relocation might need to be carried out via truck to a shipping port, then a train and on a truck again. Just think about how far away Australia or Thailand is and how long and complicated a shipping route might take! Of course, the method used to ship your goods to your destination will affect both the overall cost and the speed of delivery, so it’s important to determine how they will be shipped (and how long you can expect to receive them) from the outset so you do not suffer any nasty surprises. 5. What packaging materials will you use? You will, of course, want to ensure that all of your belongings are able to reach their new destination undamaged, which is why it is a good idea to ensure that the materials used to pack is of excellent quality. This is particularly important where you are shipping fragile goods, such as chinaware, glass, fine art or wine collections, in which special, industrial-strength packing materials will be required to prevent breakages. Moreover, if sustainability is important to you when choosing which company to go with, you might want to consider using one which offers reusable packaging materials. 6. Do you have experience moving certain specialist items? All good removals experts will have experience handling standard items, such as furniture, clothing and kitchen appliances. However, if you have particularly valuable or special items that require international shipping, it is wise to check with your provider as to whether they have previous experience in dealing with such items. Perhaps you have a vintage wine collection to ship, or you may require your furry pal to be shipped to your new destination with you. Whatever it is, many specialist removals companies will have experience in dealing with non-standard items (or pets), so be sure to ask about how they handle these types of moves and the added costs of doing so. 7. What accreditations does your company hold? Professional qualifications are an easy way to determine whether a relocations provider has the right skills and experience to be able to handle your move. They are also a seal of approval and mean you are more likely to receive high-quality service and good value for money, which is why you should always be wary of those companies which do not have any accreditations to show. Membership of the International Association of Movers (IAM) is a positive sign since companies which are a part of it must abide by a strict code of practice, ensuring legal and professional compliance standards. There are several other accreditations to look out for depending on where your company is based (for example the British Association of Removers (BAR) in the UK), so be sure to carry out extensive research and ask the company in question which of these they hold. As a general rule of thumb, the more professional bodies they are a part of and the longer they have been a member, the better quality service you should expect to receive.